Atlanta based Slushie Spot is a frozen drink service company specializing in party rentals, concessions operations, and schools. 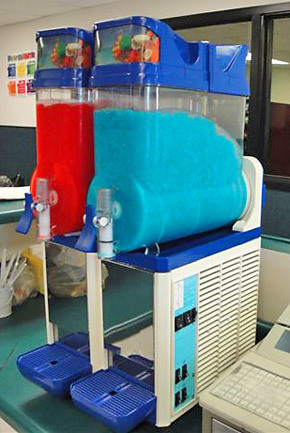 Whether you are looking to add a revenue stream to your place of business, school or special event, or looking for that special thing to make your private party a real hit, Slushie Spot is here to serve all of your needs. We value people, relationships, and the Kingdom of God. We desire to not only be known by the fruit products we offer, but also by the fruit of living a life for Jesus. We may be a small company, but we are BIG on treating you right. That means very fair pricing, honest and principled management and the best products on the market. Our machines are modern, quick freezing, dependable models that you can count on for your needs. We have a variety of delicious flavors for kids and adults. Our juice flavors are made from 100% fruit juice for a healthy alternative to typical high sugar drinks that are loved by kids and adults. Our cocktail mix flavors are precision crafted to deliver perfect frozen mixed drinks every time and best quality flavor. Machine Delivery and Pick-up around Greater Atlanta area is available. We ship our great drink mixes anywhere; contact us for more details. If you need a cart for your machine, cups, straws or other accessories – just let us know, we are fully prepared to handle your needs. 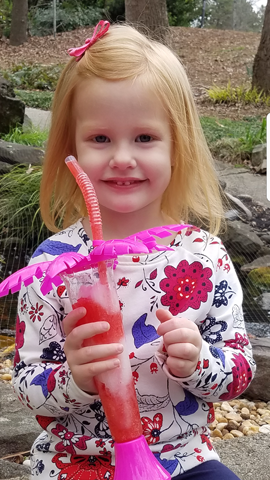 If you want a Frozen Drink Machine for your next party or a Slush Machine for your event, call Slushie Spot today @ 770-861-7298 or toll free @ 800-806-8959 for the best slush machine service in Greater Atlanta. Maybe you are ready to start earning money by having a Slush Machine at your place of business to sell Slushies to your customers. 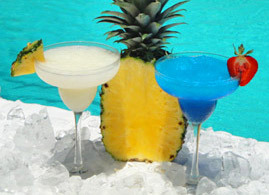 We can set you up, quickly, easily and with no cost to rent the frozen drink machine!